My first topic on this forum. I have a display of Wiggle Warts I've collected. These are all pre Rapala. The bottom row are all SP models. V1 starts at top left. or info please post it. 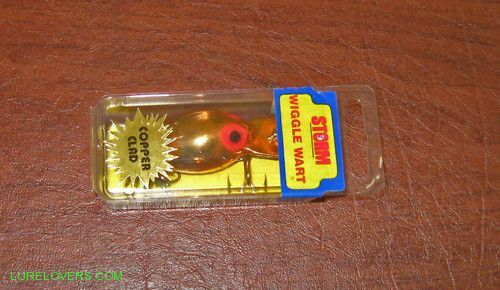 wow great lot of warts I only have two and have had them for many years I do not know what colours they are but good little fish catchers. post a pic maybe I can identify them. Fantastic display.Thankyou for posting them up. 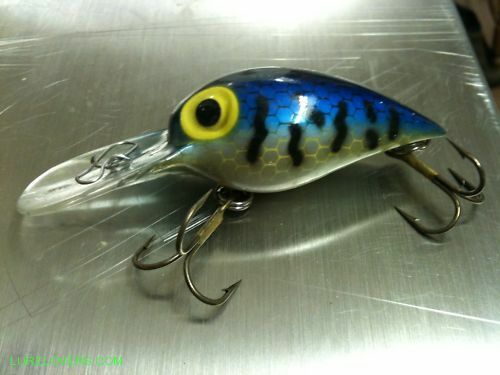 will see if I can dig my couple out, good little lures that I still throw at the very nasty snags. Great collection you have there.........and welcome to the site. Cobra , welcome to the forum ....and THAT is an amazing display!! 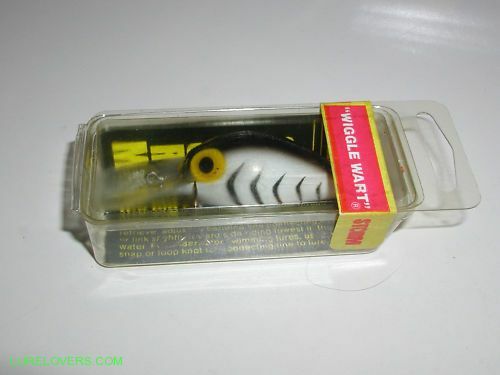 l had a few wigglewarts about 25yrs ago....great lure for Australian bass. Good luck with your search l hope you find them. 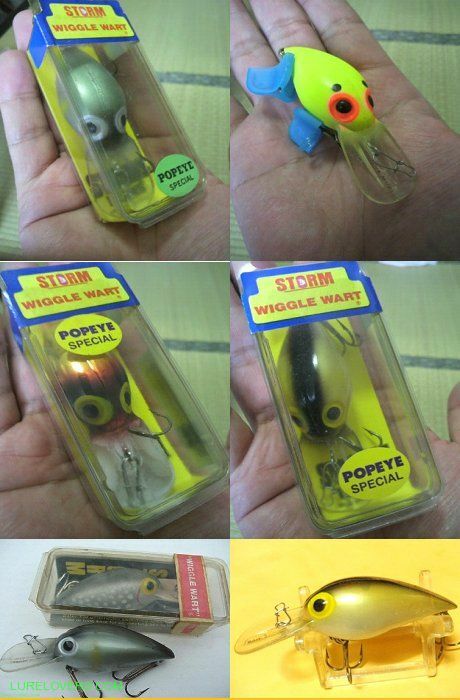 Great collection i am sure we have other members interested in collecting Wiggle Warts. 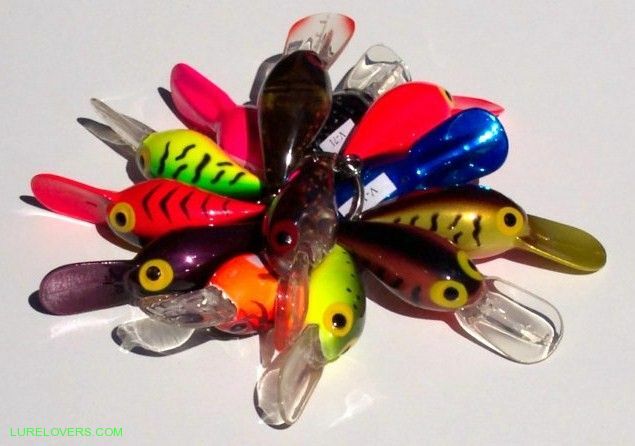 A lure without hooks is a Keyring. Looks like wee wart xv31 brown trout and wee wart xv63 green craw. Hi Tim, and agree with all the others - top collection. Just thought I'd show you a really rare one. The v22, only five known to exist. Nice collection ,do ya have the japanese colours also ? 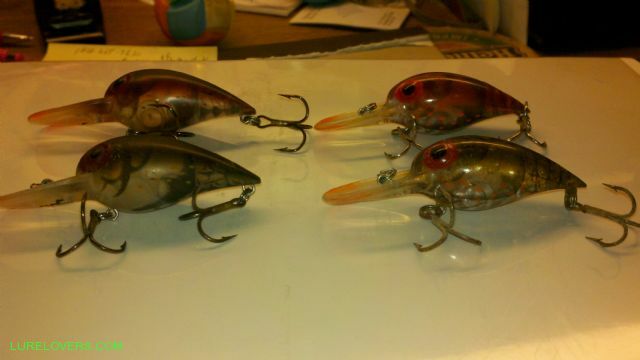 These are my two sample rings however I believe that they are post Rapala not pre. No I don't. I wish I did. Still looking for info on SP12 SP13 and the Japan series. they are sales demo rings. The left side is post Rapala, the right is pre Rapala. Same baits v59 top v86 bottom. It's a bad pic, but you can still see difference. Top right is red label bait , bottom is blue label. You can see the flat finish. I have quite a few old battle scarred warts from the 80's. I even managed to stash away a Storm catalogue from the days they were distributed in OZ by Corrico. Here is a low res scan of one of the Wart pages. I decided to go ahead and post a pic of boxed set I have. At last count 170 different warts in 285 (red,blue,snap) boxes. There are red /blue label combos . Red in front blues behind. Blues in front indicate no red labels boxes in that color. Storm didn't keep records on colors. All I've got to go on is sales magazines and collectors like you guys. There is a reflection on left from glass door. Tim were they released with clear and painted bibs right from the very beginning. Any idea when they first hit the market. Any pictures of the SP12 and SP13 not in ropes. basstard catalogue. Wholy dooley! thats an awesome collection. Well done! and I think all red labels. pretty good luck with (only had one and found it). It just took off from there. I guess I got hooked. 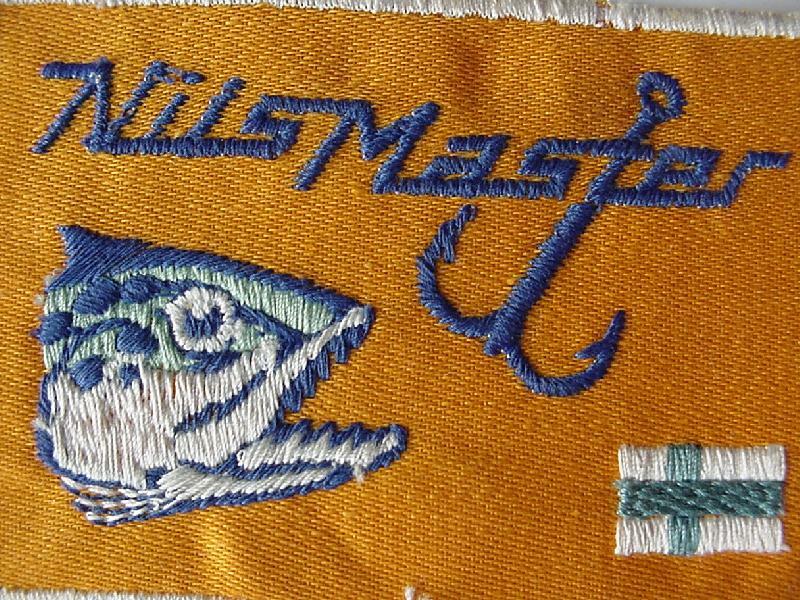 The earliest I have been able to fine adds on the lures is around mid to late 80's,seems to be very hard to find any earlier adds prior to this time in the fishing magazines. catalog has the best info in it. Not alot but best I've found. That's the most wonderful collection of warts I've seen. Mind blowing collection! 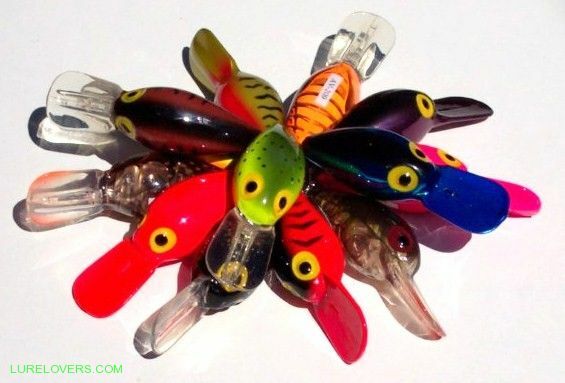 And some of my favoutie lures to fish, I love the way they stay deep and track under the boat before surfacing. Maxblue, I got these pics last week. Thought you may have seen them. The middle right and bottom right are v-sp109 AYU. The bottom left in red box is v80 Iwana. all were ordered by Popeyes Sporting Goods in Japan. These could be the five for Japan. Popeyes is like a Bass Pro Shop in U.S.A. There are warts labeled BPS ASST. out there. I have some. I have the AYU and the Popeye Clown wart. Thaks, I'll have to keep looking. Sorry but don't have these colours. Only have 2 pre rapalas and not in their boxes.